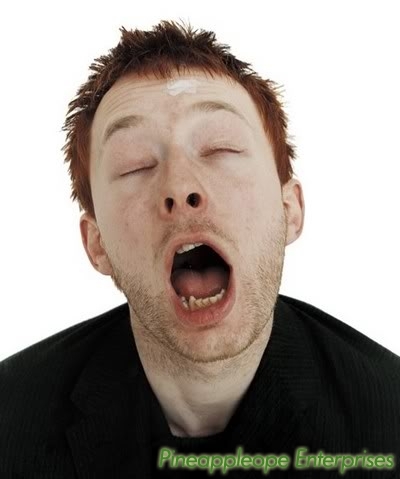 Thom Yorke, a talented but little-known backup singer for the band Radiohead, has decided to break with the band over apparent “artistic differences”. The band Radiohead made a big splash at the Grammy’s last year when they showed up to replace Britney Spears, even pulling off some of her own dance moves in unison, leading many critics to say that they had become little more than a boy band and generating a public outcry. Apparently tempers flared after the bad PR, and Thom has been working ever since on his so-called “nuevo-huevo” rock project.